There are people who are meant for far greater things than fighfting in the trenches. People who due to their integrity, their selflessness, their intellect, and dedication deserve to be the privileged leaders of society. However, as often is the case in moments of crisis, it was those very people who answered the calling when the Artsakh Movement began. Vardan Stepanyan was one of them. Vardan Stepanyan was born on March 9, 1966 in Yerevan. Being the son of a librarian he spent much of his childhood reading. Among the many books he read were books given to him by his mother about nationalist ideology, and the heroic deeds and sacrifices of Garegin Nzhdeh and Andranik Ozanyan. These books would lay the foundation of Vardan Stepanyan’s deep patriotism. It was from this young age when he began feeling a calling, and an inherent responsibility to the land. Upon finishing school, he volunteered to serve in the war in Afghanistan, where he served in special forces, and completed service with military honors, receiving the Soviet Medal For Courage. It was at this time, in 1986, when he wrote that “like every other empire, the Soviet Union too will fall, and that its fall will be caused by the national question.” He wrote this before there was any hint that the collapse of the Soviet Union was imminent, at a time when even the most dire predictions were projecting the fall of the communist regime in the early 21st century at the earliest. 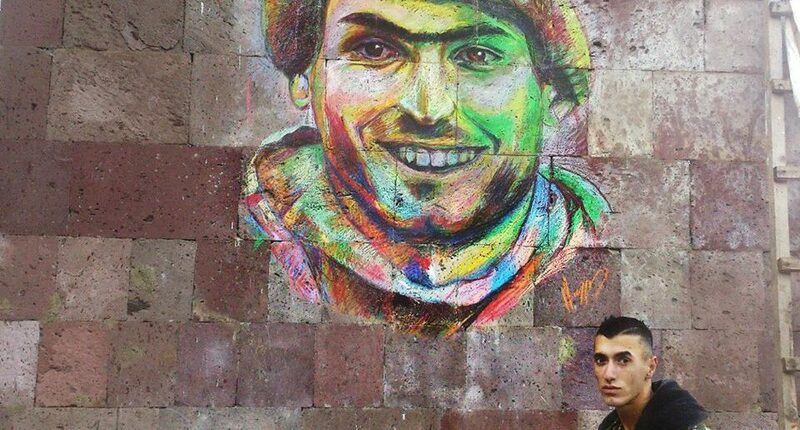 Two years later, as the Artsakh Movement began while Vardan was a second year student at the Yerevan State University Law Program, he was once again already ahead of the curve. While for the sake of solidarity he would participate in strikes and sit-ins, Vardan was insistent that these steps were ultimately futile, and that as demonstrated by history, it took much more than protests to liberate land. He believed that being just and moral was meaningless if one did not have the strength required to enforce justice. Therefore, as the protests raged, Vardan began mobilizing and importing weapons into Armenia at the behest of Hye Dat. 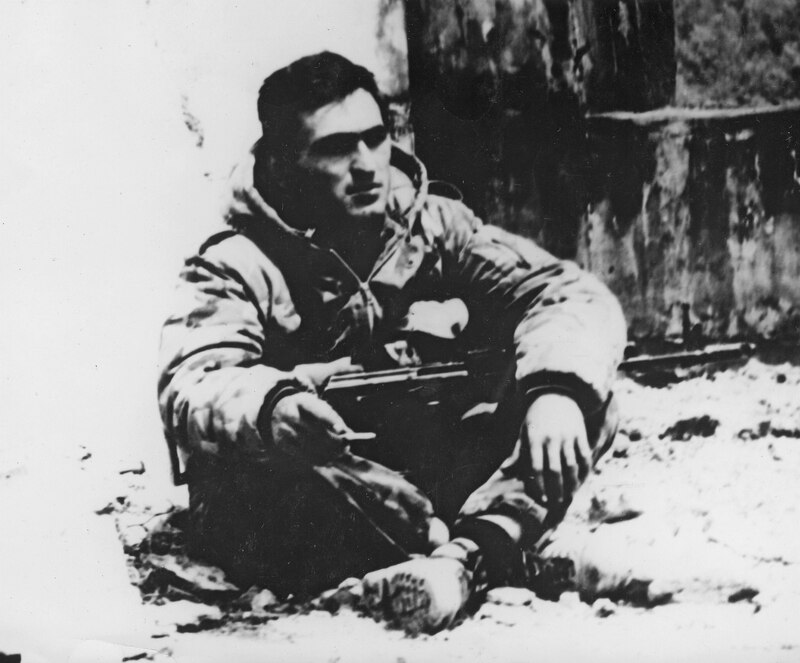 One of his notable achievements during this stage of the war included outmaneuvering Soviet special forces to commandeer a Soviet arms cache and deliver them to an Armenian depot. Given his significant experience from Afghanistan, Hye Dat then assigned Vardan to be one of the key leaders of training and preparing a militia. It was around this time that as an act of endearment those he trained began calling him Dushman, in reference of is time in Afghanistan. Vardan dreamed of having a disciplined and unified national armed forces, and it was in this period that he begin making major contributions to bringing that dream to a reality. In the months that would follow, many of the future leaders of the Armenian Armed Forces passed under the guidance of Dushman Vardan. To many, this opportunity to serve as a founder and a leader of the armed forces would have been far too enticing an offer to pass up on. However, Vardan was not interested personal glory. He was determined to carry out the most difficult part of the work himself. Therefore, as protests inevitably transformed into skirmishes, Vardan was once again ahead of the rest of the nation, already participating in the defense of Goris, Ijevan, and Noyemberyan, before slipping into Artsakh under the pretext of being a representative for a cultural event. It was in Artsakh where Vardan met Bekor Ashot (Ashot Ghulyan). 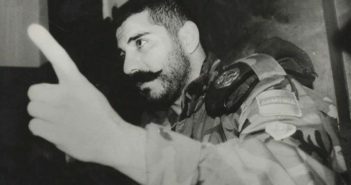 Under Bekor’s leadership, as part of his Dashnaktsutyun (Armenian Revolutionary Federation) battalion, Vardan, once again at the forefront, participated in the first battle of the war, in liberating the historic village of Togh in Hadrut on Oct 30th 1991. Today Togh is best known as the home of the Artsakh Wine Festival, and Kataro Wine. After Togh, Dushman led his own company to the liberation of Karaglukh, another Armenian village which like Togh, as well as much of the northern Shahumyan region, had fallen to Azerbaijani hands earlier in the year thanks to joint Soviet-Azerbaijani ethnic cleansing of the region. Vardan Stepanyan’s leadership proved to be critical for his company in the early stages of the war. Given the rapidly escalating nature of the crisis, and the shortage of supplies and soldiers, a form of baptism by fire was often employed, where many times a soldier’s first experience with live gunfire was during his first battle. With his extensive military background, Stepanyan was critical in ensuring his men would live to see a second battle. As the Soviet Union finally collapsed and the skirmishes and small arms battles gave way to a full scale war, Azerbaijan began an onslaught of bombardment on Stepanakert. Cut off completely from Armenia proper, and splintered from within into isolated communities divided by Azerbaijani military positions, Artsakh was facing an unimaginable humanitarian crisis. With no link to the outside world, and under siege from every direction, not even food supply lines could be secured. The situation was specially dire in Stepanakert, which was home to half of the Armenian population of Artsakh. Located in a valley, and surrounded by Azerbaijani military positions positions from above on all sides, Stepanakert was in the most unenviable military position one could imagine. It was from those positions from which Azerbaijan bombarded the city with B-21 Grad rockets for over a hundred days. The goal of Azerbaijan was to completely crush the Armenian will before Armenians could organize to resist. And had it not been for individuals like Bekor Ashot and Dushman Vardan who began organizing for the war years before it started, it is reasonable to believe the war could have ended in horrible terms not long after starting. In order for that to be prevented, the siege on Stepanakert needed to be stopped. The first step was the liberation of the Azerbaijani Stepanakert southern suburb of Krkzhan, on the road to Shushi. However, this had proven to be a difficult task since the suburb was on the receiving end of constant reinforcement from Shushi and elsewhere. However, after a month of fierce fighting, on the early hours of January 22nd, forty men led by Dushman Vardan managed to get behind enemy lines, and launch a surprise attack from the rear, which threw the enemy’s defense into complete disarray, and led to its collapse. Then on January 26th came the unlikely, almost mythical, victory at Karin Tak. On that day, some forty villagers, including women, fought a professional military unit nearly ten times in size while holding the lower ground and came out victorious. In the battle, the story of which made it into the New York Times, nearly a hundred professionally armed and equipped Azerbaijani soldiers were slain in a military operation planned and directed by the Azerbaijani Defense Minister himself. 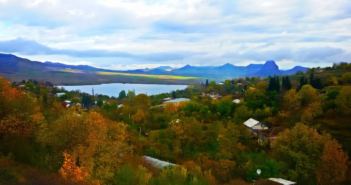 The village, which had been under total siege and blockade for months, was the last Armenian outpost standing between Stepanakert and the enemy forces in Shushi and Berdzor (Lachin). It included the last Armenian family expelled from Shushi in September. Had it fallen, the fall of Stepanakert would have been imminent. 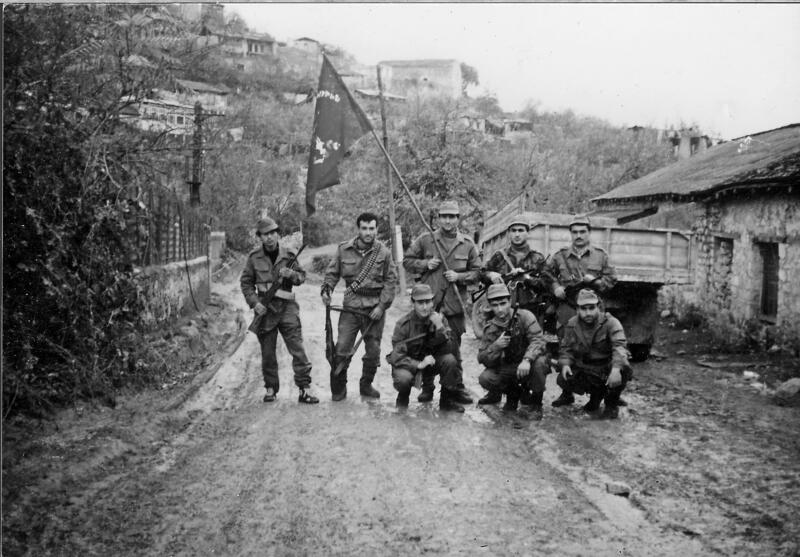 However, the first major victory of the war, achieved by civilians armed with hunting rifles, became a rallying point for the besieged Armenian forces across Artsakh. Despite a surge in the intensity of the Azerbaijani siege caused by domestic outrage at the Karin Tak defeat, Armenians had understood that victory was possible, regardless of the odds. 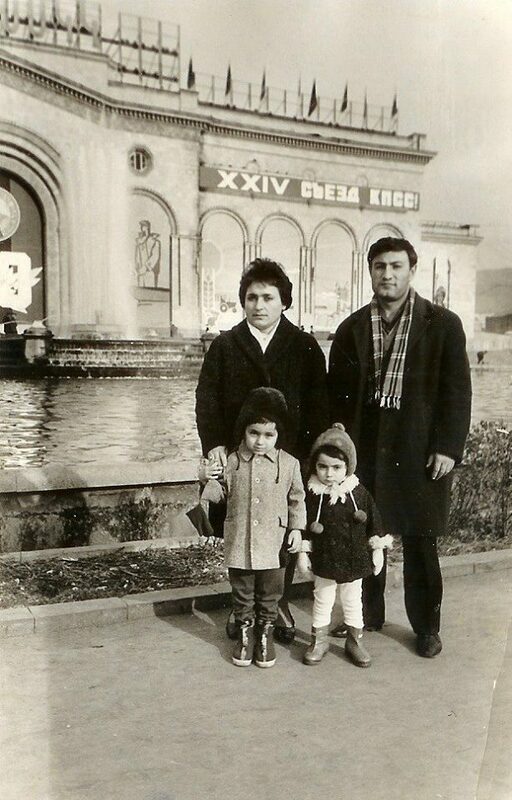 A flurry of victories were achieved at Gushchular on the south, Lisnoy to the north, and Achapnyak (Malibeyli) to the east, the last of which opened the Stepanakert-Martuni Highway, reconnecting Martuni to the capital. The operations were carried out by the Artsakh Defense Forces First Company of Bekor Ashot, commanded by Dushman Vardan and Peto Ghevondyan. The liberation of the three settlements led to the elimination of the first “ring of fire” surrounding the immediate area of Stepanakert, which meant the enemy was no longer at the gates of Stepanakert, and there was a physical distance providing a small sense of safety. It brought a slight sense normalcy to life in Stepanakert, and allowed the opportunity to organize and mobilize for the much more difficult task of eliminating the second ring of fire which consisted of the heights around Stepanakert, in particular Shushi and Ivanyan (Khojaly), used to shell it. First came the liberation of Ivanyan on February 26 led by the First Company of Bekor, commanded by Dushman and Peto as well as the participation of the Arabo Battalion. While the defense of Karin Tak had been the first significant defensive victory for the Armenian nation, the liberation of Ivanyan proved to be the first major offensive achievement. It gained the Artsakh forces access to Stepanakert International Airport, the only airport in all of Artsakh. Just as important, it opened the Stepanakert-Askeran highway, as the fragmentation of Artsakh was slowly but steadily being reversed. Most importantly, it significantly cut down the bombardment of Stepanakert by B-21 Grad rockets. And even the bloody politicized aftermath of the Ivanyan liberation, proved to be yet another testament to the character of Vardan Stepanyan. Upon the surrendering of several Azerbaijani villagers who had been abandoned by Azerbaijani forces, Stepanyan gave his unit’s entire daily rations to the Azerbaijani civilians. His soldiers recall how under the bombardment of enemy rockets, they were led by Vardan on a mission to bring milk to Azerbaijani children from Ivanyan. This was because instead of outright hatred, Stepanyan’s patriotism was borne from his humanitarianism, and his love for his people and the dream for them to live dignified lives under their own flag. His mother had taught him to distinguish between those two concepts early on. And following the liberation of Ivanyan, it was time to make that dream a reality with the liberation of Shushi, and linking Artsakh to the motherland. In the two months that followed, besides continuing to defend Stepanakert, the Armenian forces primarily focused on planning the Shushi operation, softening the defenses of the city, and carrying out the necessary preparatory work for the coming attack. Of chief importance in that preparatory work was creating a military model of the city and its enemy occupying forces in order to be able to devise an attack. Much of the behind enemy lines surveillance for this task was entrusted to and successfully carried out by Vardan Stepanyan. When it came to planning the battle, a conventional direct attack was out of the question. Armenians were attempting to take land while holding the significantly lower ground, something that would take five to ten fold advantage in manpower over the enemy, whereas Armenians were not only outnumbered, but had lower quality weapons. Therefore, instead, Armenians chose to approach the city from its rear and rear flanks by climbing its formidable cliff formation, thus avoiding the northern entrance to the city, which was its most easy to defend position. On May 8th three different companies were to attack the enemy forces in the three surrounding villages, drawing out reinforcements from within Shushi, and then converging onto the city. A fourth company was tasked with attacking from the southern direction, while also preventing the arrival of reinforcement from Berdzor. A fifth company was held back in reserve to support any of the four companies that needed reinforcement. Vardan Stepanyan’s unit was part of the attack on the eastern flank. The operation commenced in the early hours of May 8, and by midday the Armenian forces had succeeded in taking the adjacent communities and had converged on to the city. Despite having been tasked with attacking the most defensible side of the four sides being defended, Vardan along with Bekor were among the first to enter the city. By the evening, the enemy had been pushed to the southern edge of the city, with the last of the enemy forces abandoning it, taking the humanitarian corridor offered by Armenians to Berdzor. A late, seemingly meaningless, attack on the city by the enemy’s only fighter jet was thwarted before the jet could approach the city center. It was only afterward that the significance of this was understood. 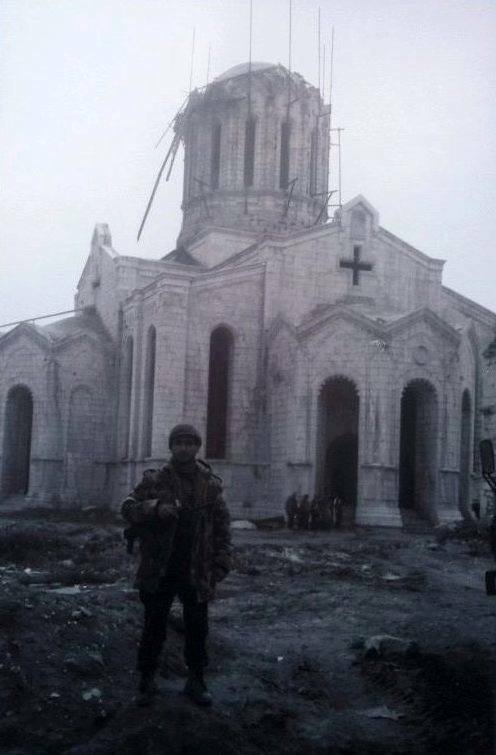 The Shushi Ghazanchetsots Cathedral had been converted to a weapons depot, and that it had been the enemy’s intention to fire upon it, and to have destroyed the cathedral, as well as the entire city. By May 9th, the city was clear of enemy combatants, as the seventy two year occupation of Shushi had ended, and the celebrations began. The most symbolic victory of the war required much celebration. However as those celebrations continued in the days that followed, Vardan’s was already on the road to Berdzor two days later to see to the completion of the union of Artsakh to Armenia proper. It was there more than ever before that Vardan’s foresight would prove to be the difference maker. Because on May 11 the Vardan detachment as well as the Hayk detachment from Ejmiatsin saw an approaching military convoy headed to retake Shushi. Armed with two T-72 tanks and several BMPs and armored vehicles, had they not been spotted in time, almost certainly Shushi would have gained a much different meaning in the history of the Armenian people than the one it holds today. However, the Armenian forces led by Dushman had just enough time to mine the road, which would completely destroy one tank while damaging the other and forcing it to flee. They were also able to completely take out one BMP, while also forcing the rest to flee. Had those T-72’s been allowed to enter Shushi, there was nothing there that would have been capable of stopping them. Fortunately, with the counter offensive neutralized, Armenians were able to start the march onto Berdzor. 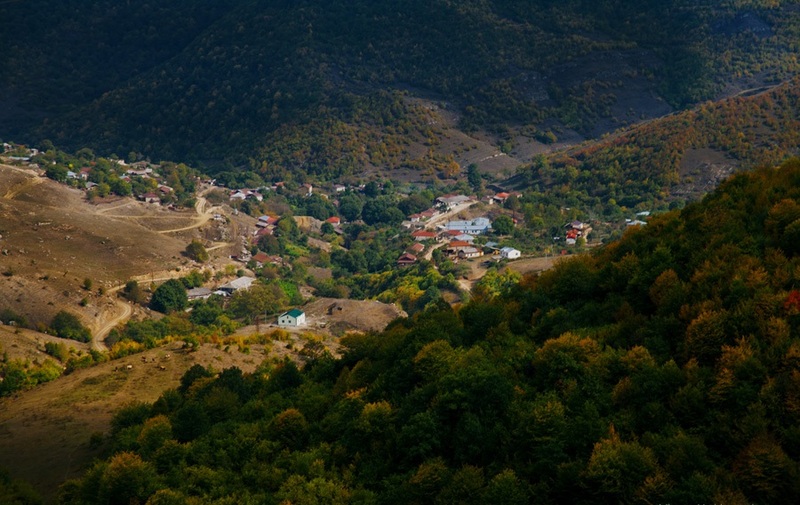 On May 15 Lizasor was taken, and by May 17 the suburbs of Berdzor were in Armenian possession. 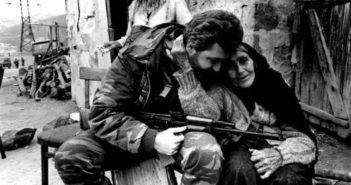 Finally, on May 18, Armenian forces entered Berdzor, connecting to Kornidzor in Syunik, and ending the blockade on Artsakh, as fuel, food, and medicine began pouring through the Berdzor corridor to the capital, and throughout Artsakh. Early in 1991, Vardan had participated in his first battle of the war at Kornidzor, the site of some of the earliest clashes in the conflict. More than a year later he had come full circle. Upon his return to Shushi, Vardan was named deputy commander of a newly formed Shushi Battalion. Sadly, the operation at Berdzor would prove to be the high point of Vardan’s involvement in the war. Soon thereafter the enemy began a surge across the length of the frontline intended to overwhelm the Armenian defense forces to end the war. The Armenian forces would spend the coming weeks and months struggling to defend what they had liberated, while taking significant territorial and personnel losses in the Martakert region. 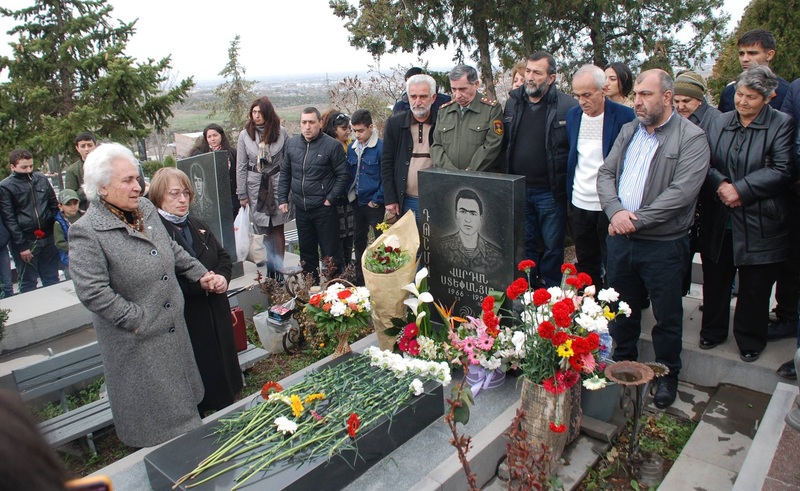 And six weeks after the liberation of Berdzor, on July 3rd, 1992, Dushman Vardan was martyred on the road to Martuni when the car he was in drove over a mine. He had been on his way to provide support to the forces of Monte Melkonian, another legendary commander of the war. Vardan was known for having the cleanest, and most professional uniform among those around him because he believed one must take the utmost pride in everything one does, and to do everything to the highest degree of quality possible. He applied this to his patriotism and he imposed these values onto his soldiers. He had a greater mastery of the Armenian language than everyone around him and he demanded that even in the midst of deadly fighting, his soldiers forgo the common practice of using Russian words for military weapons. He had dreamt that he could finally rest after seeing the shores of Lake Van upon its liberation. However, the mountains of Artsakh and Syunik would prove to be the end of his road. He was twenty six years old. There is a subtle, yet very important reason for doing it: I am amazed that such a young man, in the middle of life-and-death struggle, had the presence of mind and deep understanding of its critical importance, and demanded his men practice it. It is a shame that today people in Armenia can’t wait to corrupt our beautiful language with weird foreign influenced contraptions. E.g. հիվանդանոց has become……հոսպիտալ (!). I understand some words, particularly modern/technology related, cannot be easily translated/changed to equivalent Armenian. But why use a foreign contraption when an Armenian word exists? I am no psychologist, but my take is that it is a subtle manifestation of Ստրկամտություն. Some of us are supposedly “proud” of our 5,000+ year history of civilizational achievement, but…..are afraid to stick out, so have to blend in by using foreign words, even in Armenia. It took me many years to figure this out, and that is why I say it was remarkable that Dushman Vardan had figured it out so early in his life. When one has the ստրուկ/’gavur’ mentality, then everything becomes acceptable: you knowingly buy Turkish products, you trade in Turkish goods, you contemplate voluntarily “returning” Armenian lands to nomad tribes whose reason for existence is to exterminate your ethnos, and take what little you have left.